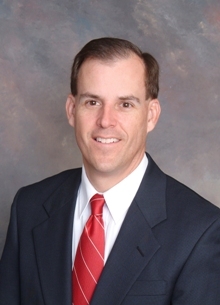 Tim Shank, CFP, has been advising clients for over 30 years. He began his advisory career with IDS in 1987 and continued with its successor organization, American Express Financial Advisors where he was a member of their corporate Review Board. He joined Investors Financial Advisors in 1998. His previous experience included merchandising for JC Penney Inc.
Tim obtained his CERTIFIED FINANCIAL PLANNER™ certification in 1994 and is a member of the Institute of Certified Financial Planners. He earned a Bachelor of Science from Virginia Tech. He has one daughter and makes his home in Roanoke. He enjoys travel, history, photography, cycling and other outdoor activities. Certified Financial Planner Board of Standards Inc. owns the certification marks CFP®, CERTIFIED FINANCIAL PLANNER™ , which it awards to individuals who successfully complete initial and ongoing certification requirements.